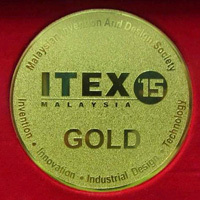 TARRC’s biotechnology team along with their research partners at the Malaysian Rubber Board have won a Gold Medal at the 26th International Invention and Industry Design and Technology Exhibition (ITEX 2015), held at the Kuala Lumpur Convention Centre from 21st to 23rd May 2015. ITEX is an annual convention organized by the Malaysian Invention and Design Society (MINDS) that serves as one of the platforms for researchers, scientists and technologists to showcase their inventions to achieve successful commercialisation. Their winning invention, Latex-T, which was developed based on years of research on latex allergy, is a test kit for detection of allergenic proteins in latex products. The test is rapid and simple and can be performed without specialized lab skills. The Latex-T kit does not require any lab-based instruments, thus allowing on-site monitoring of latex allergens at ambient temperature. The team of scientists were Roslinda Sajari, Siti Arija Mad Arif, Mok Kok Lang from MRB, Alessandra Di Cola and Maria Kolesnikova-Allen from TARRC, UK. Latex-T also received additional recognition in the category of Special Awards by winning the "Best Invention in Biotechnology" from the Japan Intellectual Property Association (JIPA). 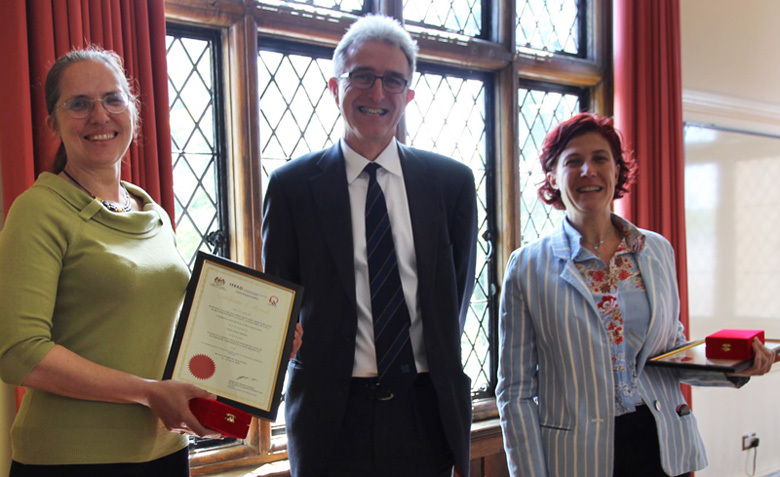 In recognition of the award, TARRC’s Director of Research, Dr Stuart Cook, presented Drs Di Cola and Kolesnikova-Allen with their medals and certificates at Brickendonbury in front of all staff.